The compact system camera market is very crowded at the moment, and the area which has a lot of competition in particular is the very small, pocket friendly cameras with lots of companies vying for attention as “world’s smallest”. 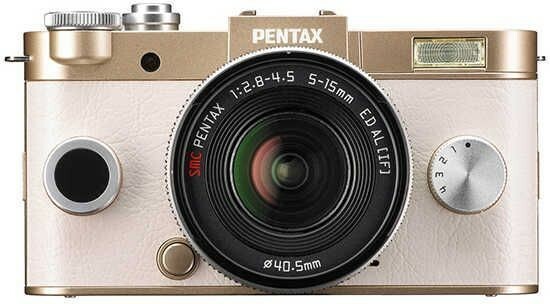 Although Pentax has created a very small camera here in the shape of the QS-1, as a trade off, the sensor is very small - the same size as the majority of compact cameras. By comparison, other very small compact cameras, such as the Samsung NX Mini and the Nikon 1 range have one-inch sensors, while the Panasonic GM5, which isn’t a great deal bigger, has a Four Thirds sensor. That said, image quality from the Pentax QS-1 is decent, if not amazing, and there’s a good amount of control you can take with fully automatic modes available. Creativity is catered for with the different digital effects, and while they’re worth experimenting with, sadly there’s nothing extraordinary here. You’ll get the best image quality in good light, so if you’re looking for a holiday or travel camera, it’s not a bad option - but if you’ll often be photographing parties or late night events, you’d be better off looking elsewhere. It’s very easy to use the Pentax QS-1 , and for something so small, it’s nice to see such a wide array of dials and buttons to make the majority of settings changes at your fingertips. It would be nice to see a little more customisation options, but that said, Pentax has mostly made sensible choices when it comes to button placement so it’s not too much of a loss. At the moment, Pentax is offering a range of eight different lenses for the Q mount, which covers most bases but is nowhere near as extensive as those offered from the Micro Four Thirds range - although it’s a larger selection than available for the Samsung NX Mini mount. For those looking for an ultra small compact system camera, the Pentax QS-1 is a reasonable option, especially if you've got some kind of affinity to the Pentax brand. If you have concerns about low light shooting, take a look at the excellent Panasonic GM5 for a better, if more expensive, option.